RYAN WILSON will take no further part in Scotland's Six Nations campaign after sustaining knee ligament damage during the first half of the national team's defeat to Ireland at Murrayfield on Saturday. The New Zealand-born fly-half - who moved to Munster past year after being an understudy to Sexton at Leinster - made a nervy start with his pass being intercepted leading to Scotland's try at the end of the first-half. However, a superb burst from inside his own-half created Ireland's third try, veteran Keith Earls touching down, which he converted and he added a well taken penalty later in the second-half to give the Irish some breathing space. 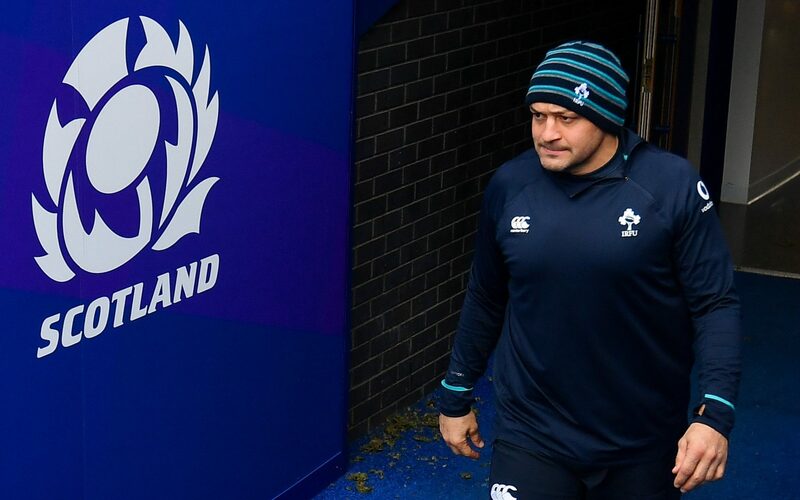 In the couple of minutes leading up to the break, there was a period of play that saw Scotland go through 25 phases deep inside Irish territory without scoring a single point. We spoke a little bit about Ireland not getting the bonus point; the win is the most important thing for Ireland now. "Both of the teams" energy levels dropped in the second half because of the effort that they put into the first half. "He got control of things and made a nice little break for Earlsy's try and looked really unsafe in attack". "We have a lot of belief in what we're doing and how good a team we are", Best told the BBC. Now with trips to Paris and Twickenham - two venues in which the Dark Blues have never managed an away win during the Six Nations era - sandwiching Wales' visit to Edinburgh, Russell knows his side could be facing another Championship of frustration if they suffer again at the Stade de France in a fortnight's time. 'He wanted to stay on but his shoulder was not right. I think we restricted them to an intercept try.